How Can The New York Mets Improve For The 2014 Season? Start With Some Outfielders! As of today, The New York Mets sit in third place in the National League East with a not so good 57-66 record. With that record being nine games under the .500 mark, they need to make some improvements. How will they do that? One way is to pick up some free agents. 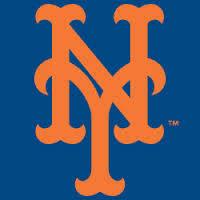 The New York Mets have struggled this year, but they are hoping to be able to do much better next year. With solid players such as Third Baseman David Wright, Pitcher Matt Harvey, and an up and coming star in Jenrry Mejia the Mets have key players that they can build a good team around for the years to come. If they want to improve, they need to do something. To do this, they will likely pick up some free agents and possibly make a trade or two. If they want to pick up some free agents, they can go after outfielders such as Shin-Soo Choo of the Cincinnati Reds who would help defensively in Center Field and could also hit lead-off or anywhere else in the line-up if asked. 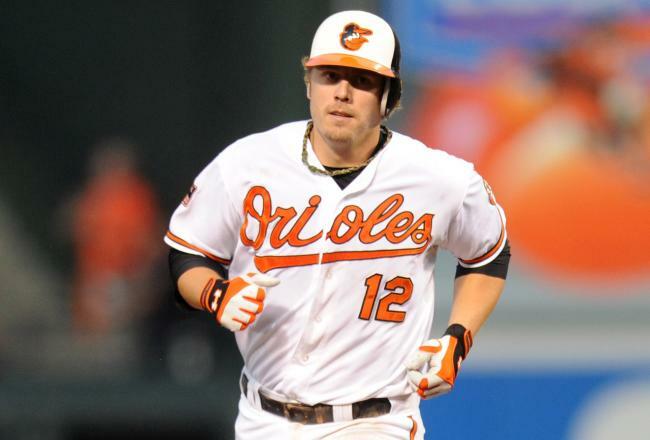 was Arbitration Eligible in 2013 and could have been offered it by the Orioles, instead they let him walk, He was great insurance for First and Third Base and they should have kept him for one more year.” Mark Reynolds was Arbitration Eligible in 2013 and could have been offered it by the Orioles, instead they let him walk, He was great insurance for First and Third Base and they should have kept him for one more year. He likely would have made in the 1 YR/$11 MIL Range. Instead the club opted to try Nolan Reimold and a cast of others for the positions available. The Orioles DH slot is hitting well under the Mendoza Line at the time of this article. The Cleveland Indians are off to a hot start, sitting just one game back of the Detroit Tigers atop the AL Central. In their last 10 (through Tuesday) they are 7 – 3. Most of this is due to Mark Reynolds. So far this year, he is hitting .272 with 11 HRs and 32 RBI. This puts him on pace to hit 50 HRs and drive in close to 15o Runs. Of course, there is no way that he drives in 151 runs, but I think it is possible that he could hit 40+ HRs. He would have to stay hot the entire season and not get injured, so I would say there is about a three percent chance that he does so. His career highs in HRs and RBI came in 2009 when he hit 44 and drove in 102. With the Indians lineup the way it is with Jason Kipnis (whom I will talk about later), Asdrubal Cabrera and Nick Swisher hitting in front of him, it seems like Reynolds will have plenty of RBI chances. Reynolds is also on pace to strike out about 176 times, which is a little bit lower than his career average. Needless to say, if he keeps up his current performance throughout the entire season, he will be the MVP (although I would not count Miguel Cabrera out just yet with the season he is having thus far). 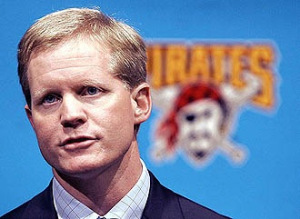 Neal Huntington was named General Manager by the Pirates in 2007 – and has yet to produce a winning season. Expectations are becoming higher with each passing year. The Pirates are the only NL Team not to make the playoffs since the 1994 Lockout. There is no question that the Pittsburgh Pirates have gone through their fair share of struggles. They have not had a winning season since 1992, and the closest the team has come to a .500 season was last year, when they went 79 – 83. It looks, though, as if there is light at the end of the tunnel for Pirates fans. General Manager Neal Huntington has made some nice moves to strengthen the team since he was named in 2007. 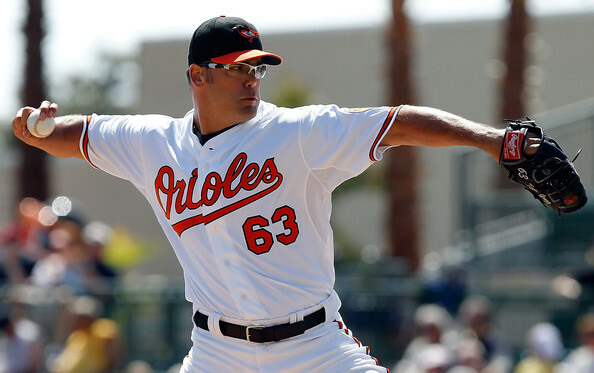 He immediately went to work, hiring a new manager and making major trades up to the 2008 trading deadline. One of two major trades included sending Xavier Nady to the Yankees for pitchers, notably Jeff Karstens, Ross Ohlendorf, and Outfielder Jose Tabata. The second major trade was sending Jason Bay to the Red Sox for Brandon Moss, Andy Laroche, and others. Although these deals never really came to fruition, Huntington made it clear that he would not stand idly by and let his team suffer. Billy Butler (Country Breakfast) heads into 2013 with a .300 Career Average and coming off a personal best year of 107 RBI in 2012. The big DH is perhaps the 2nd best player for the position in the AL next to Big Papi. For the past few seasons, the Kansas City Royals have not had a lot of consistency. The pitching has been sub-par, and the hitting has been disappointing. 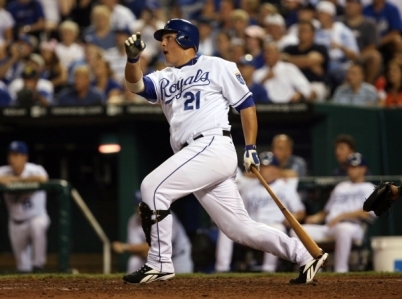 But, there has been one guy the Royals have been able to rely on: Billy Butler. Butler, a First Round pick in the MLB Amateur Draft (14th Overall), is not the type of player that is a household name, but he gets the job done—very well for that matter. Not much attention has been paid to Butler, probably because of the lack of success that the Royals have had. From 2009 to 2012, Butler has played in no less than 158 Games—something that is very valuable to a team. His worst season (power-wise) in that 4 Year span was 2010, in which he hit .318 with 15 HRs and 78 RBI. In 2012, Butler was outstanding, hitting .313 with 29 HRs and 107 RBI. This season included his first All Star Game Appearance and a Silver Slugger Award. In terms of defense, Butler has been squeezed out. The rise of star prospect Eric Hosmer eliminated any possibility of Butler playing First base. Butler did not play much defense before Hosmer came up anyway, but the call-up solidified this. Now, Butler is the everyday DH, similar to a David Ortiz-type. He occasionally gets some time in the field, notably in 2012 when Hosmer was mired in a deep slump. If Butler was more versatile, maybe he would be more recognized and could receive the attention he deserves. When Ortiz retires soon, Butler may take the reigns as the best DH in the game. Bernie Olshansky: With center fielder B.J. Upton most likely leaving for free agency, the Tampa Bay Rays will have some gaps to fill in their lineup this offseason. Unless they sign a high-profile free agent like Josh Hamilton (which I discussed in my last feature), the Rays will need to make a move to land a bat. The Rays have a solid pitching staff. Some may even say they have a pitching surplus. 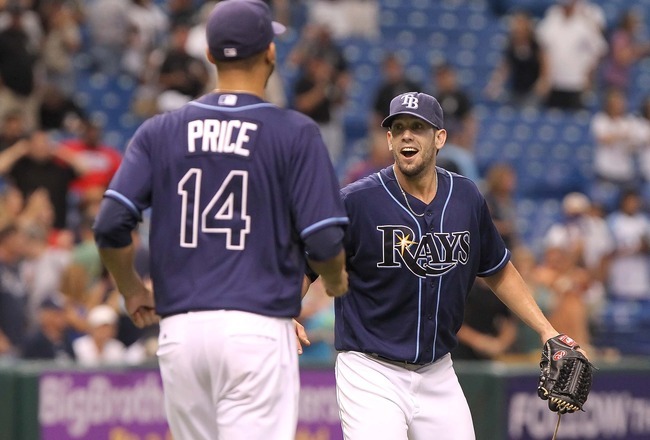 With David Price and James Shields leading the staff that includes Jeremy Hellickson and Matt Moore, the Rays can say that pitching is their strength. Out of all these pitchers, one should probably be traded though in order to boost the offense. The two pitchers that would carry the most trade value on the staff are Shields and Price. Hellickson and Moore are both young and somewhat unproven, so they would probably not provide much of a return. Shields is a pitcher I compare to Mat Latos, who was traded to the Cincinnati Reds from the San Diego Padres last offseason. 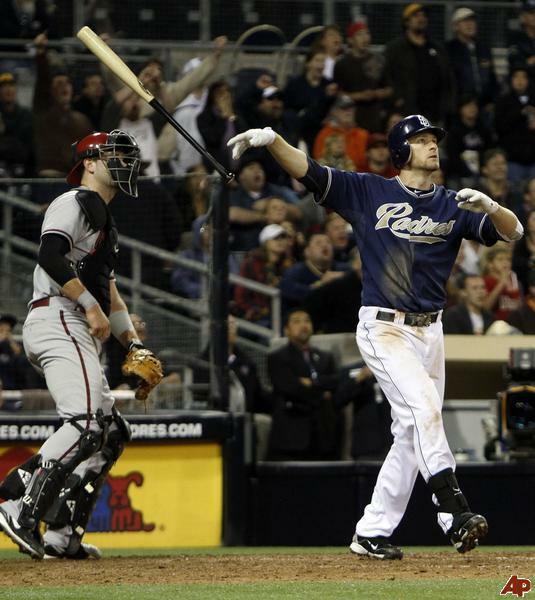 The Padres cashed in big time. For Latos, the they got a haul including Edinson Volquez, the projected number two starter in the Reds’ rotation at the time, Yonder Alonso, a top prospect, and Yasmani Grandal, another prospect and first-round pick. If the Rays traded Shields and got a deal similar to that of the Padres, they would be set up quite nicely for future success. 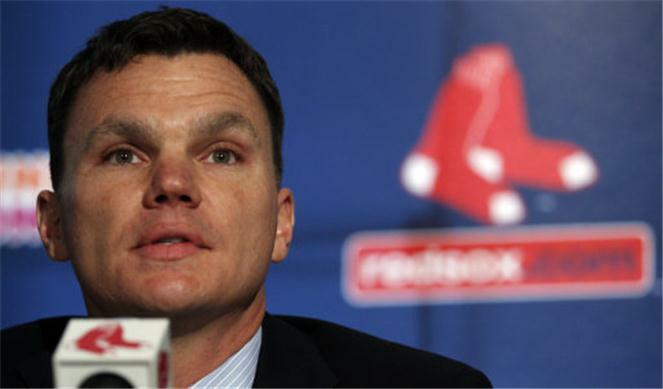 Boston Red Sox: Who is to Blame for this Mess? Bernie Olshansky: The Red Sox are in a state of disrepair. They just traded two of the key players who were supposed to carry them to several postseasons in the future, and a pitcher who had the stuff to regain his status as the ace of the staff. Not to mention the team also has a manager who does not relate well to players. The Red Sox went from first to worst in the span of about a year. Why? It all started going wrong in September of last year. The Red Sox started a skid and then information came out that some of the pitchers were drinking beer and eating fried chicken in the clubhouse during games in which they were not pitching during the pennant chase. 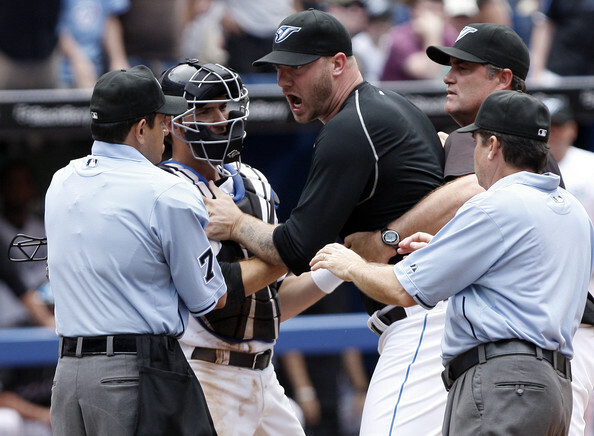 The Red Sox had a horrible month and ended up falling out of playoff contention as the Orioles walked off on them in game 162 and Evan Longoria subsequently hit a walk off homer versus the Yankees to clinch a playoff spot for the Rays. Terry Francona, the manager who broke the Curse of the Bambino and won two World Series, was fired and general manager Theo Epstein was rumored to be leaving. Owners John Henry, Tom Werner, and Larry Lucchino promised that a collapse like this would not happen the next year. The good news: Red Sox fans will not have to worry about a collapse like last years’ now. The bad news: the Red Sox have been out of contention for almost the whole year. Adrian Gonzalez, Carl Crawford, Josh Beckett, and Nick Punto have been traded, and it looks like Boston will be rebuilding for at least the next couple of years. Chaos in Boston is an understatement. 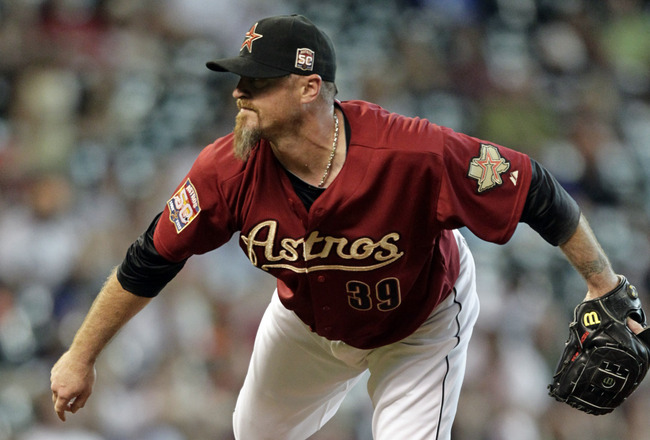 MLB reports: The MLB Non-Waiver Trade Deadline is rapidly approaching. With only nine days to go, MLB teams need to decide if they are buyers or sellers. Right up until July 31st deadline, the baseball world will be buzzing on potential deals. While transactions can occur after July 31st, the respective players will need to first pass through waivers, which makes trades more difficult to happen. Especially in the category of closers, who are sought after by almost every team. Whether to obtain a 9th inning stopper or upgrade their middle relief, the majority of MLB teams are currently on the prowl. There are some contending teams would love to add a closer, including the Rangers and Cardinals. 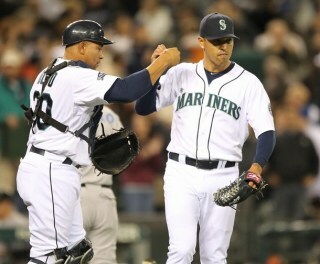 The host of other teams battling for a playoff spot are ready to take a current closer to pitch the 7th or 8th inning. To win today in baseball, you usually need 2-3 closer-type pitchers in your pen. The Brewers recently added Francisco Rodriguez to compliment John Axford. The New York Yankees signed Rafael Soriano to pitch in front of Mariano Rivera, although David Robertson has since grabbed the role. True closers will always be in demand and teams with playoff aspirations will always find room for these guys on their rosters. The Rolls Royce of available closers, the Padres are talking to teams on a daily, if not hourly basis on the availability of Heath Bell. Nearly every team has been linked to Bell in the past few days, from the Rangers, Cardinals, Phillies, Red Sox, Jays and Tigers. The prize of the closing market, expect the Padres to demand a king’s ransom for his services. At least two top prospects, with one being major league ready should get this deal done. With 28 saves and a 2.45 ERA, the 33-year old Bell is having another fantastic campaign before his impending free agency. The Rangers and Cardinals are most in need of a closer, with the Rangers the most likely destination based on availability of prospects. The Rangers have the superior farm system and could match up best with the Padres. The Phillies and Jays are the dark horses according to reports and need to decide if they are willing to pay the price. A first time All-Star in 2011, Brandon League has raised his stock this year and given the Mariners an interesting trade chip to work with at the deadline. League has chipped in 23 saves already this year, with a 3.35 ERA and 1.088 WHIP. With a team friendly contract and under team control for another season, League should draw much interest on the market. St. Louis seems like a logical choice, as the Cardinals will be looking for a long-term solution to their closing woes. I cannot see the Mariners dealing in their division and having to face League next year with the Rangers. A top prospect or two middle prospects should make this one happen. With the Mariners far out of contention and in complete rebuild mode, a top closer seems like a luxury that the Mariners cannot afford at the moment. The Mariners need offensive help and need it quickly, with League being one of many candidates likely to leave Seattle by July 31st to replenish the farm system. If Heath Bells is a Rolls Royce, the Blue Jays are running a used Ford dealership in their bullpen. Frank Francisco is like a used mustang with transmission problems, while Jon Rauch is a pickup truck without the V8 engine. The Jays have assembled a collection of the middle-of-the-road closers and setup men this year in their bullpen. Francisco will likely draw the most attention, despite his mostly awful numbers this year. At 31-years of age and throwing big time heat, Francisco still has potential. Rauch has served as the Jays closer for much of the year and could be in demand as well. Octavio Dotel, the eldest member of the pack, has bounced around during his major league career and could be a useful trade deadline pickup. The most effective reliever though for the Jays has been Jason Frasor and a smart team should consider him. While the Jays are unlikely to offer any true closers to contending teams, there are middle relief candidates to be had. Expect the Phillies to come calling and pickup one of the above. For those teams that like to play with fire, closers don’t get more dangerous than Kevin Gregg. A 4.00 ERA and unsightly 1.583 WHIP are not numbers that scream out lock-down closer. Gregg has shown though the ability to get hot at times during his career and will be considered by many teams over the next week. Signed through next year, the Orioles will look mainly for salary relief in shedding Gregg’s contract. Personally, I wouldn’t consider Gregg if I was running a team. But somehow he will likely move by July 31st. Another up-and-down closer in the Gregg mold, Leo Nunez is quietly having a very solid season for the Florida Marlins. Up to 27 saves, with a 3.22 ERA and 1.187 WHIP, Nunez might actually be the best affordable option on the closers market. The Rangers and Cardinals will sniffing around here, as will the Red Sox, Indians and Tigers. As the Marlins and Tigers have matched up well before in trades, I can see this swap happening. The Tigers have the ability to surrender a decent pitching prospect and can use Nunez down the stretch as Valverde insurance. With the Tigers in contention and the majority of their bullpen being fairly unstable for most of the year, Nunez might be a late inning option that the the Tigers can ill-afford to miss out on. 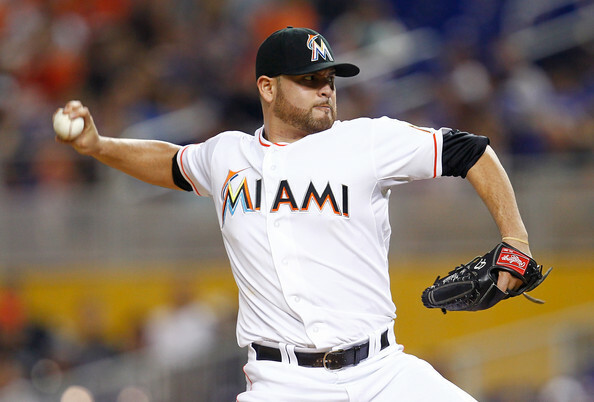 Send us your comments and opinions on available closers for the trade deadline. Other names thrown around have been Joakim Soria, Matt Capps, Joe Nathan, Andrew Bailey and Brian Fuentes. 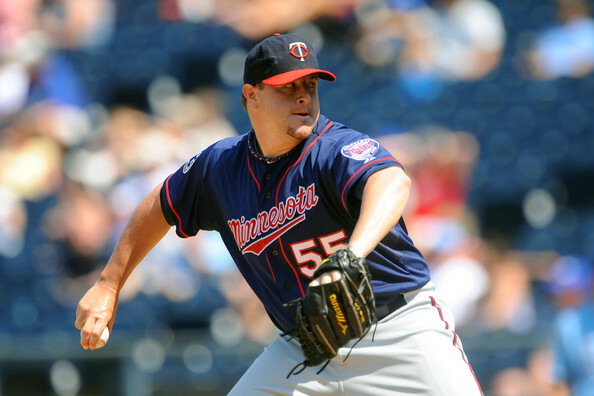 The trading of players, especially closers, is especially reliant on the competitiveness and status of a team in the standings. With so many teams still in their respective races, there are not as many top bullpen arms available at this point in the season. But come August, as more teams continue to drop out, expect to see even more trade activity. Exciting times, as the MLB pennant races continue to heat up, and baseball trade talk is on everyone’s lips.